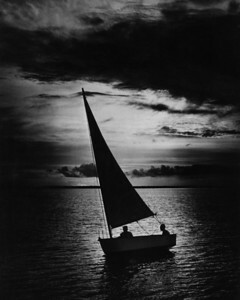 A boat sailing on Ortega Bay in 1946. Ortega was the lair of the planter/outlaw Daniel McGirtt. McGirt was a plantation owner, a slaveholder and a fiercely independent Scotsman who, at times, was at odds with or had a price put on his head by the British or Spanish governors of the colony of Florida. He was never captured and kept for long, always talking his way out of any situation, and eventually died in his bed early in the 1800s. 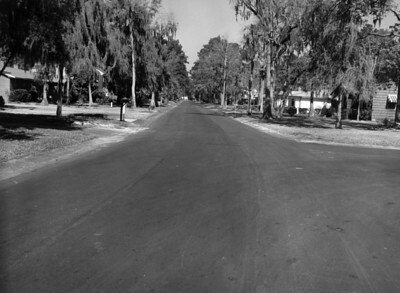 Looking north along Apache towards the intersection with Palmetto (Choctaw) in Ortega Terrace in 1955. Maiden trip of the Fairform Flyer in the 1928. The Fairform Flyer was the motorboat of Frank Huckins, who is seated on the right with a pipe in his mouth. Carol Bettes is seated to Frank's right. Katherine Trenholm Hull is seated in the middle and is looking right. 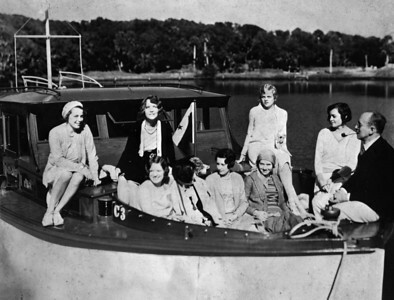 Located on the Ortega River, the Huckins Yacht Corporation assembled PT boasts for the navy during WWII. 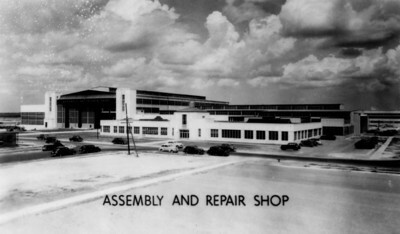 Assembly and repair shop of Naval Air Station Jacksonville during the 1940s. 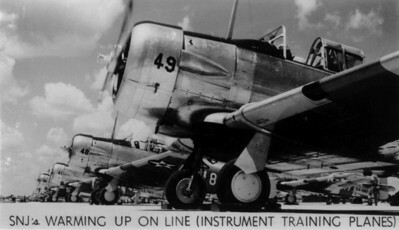 SNJ's warming up on line (instrument training planes) at Naval Air Station Jacksonville during the 1940s. 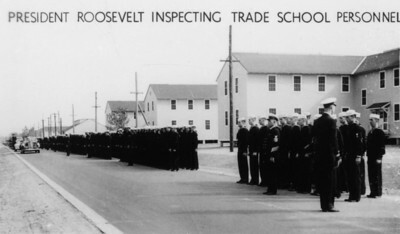 President Franklin D. Roosevelt inspecting trade school personnel at the Naval Air Station during WWII. 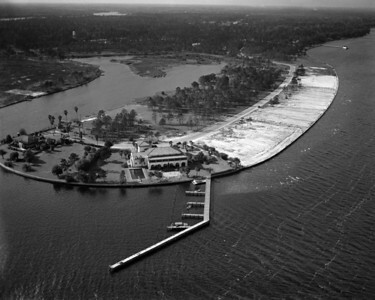 An aerial view of the Florida yacht club in 1948. The Florida Yacht Club was organized in 1876 for the purpose of promoting yachting and social enjoyment. 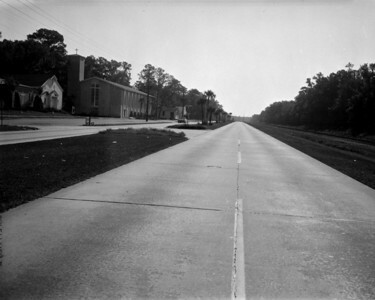 The Ortega clubhouse location opened with a regatta and dance on April 21, 1928. Looking north along Roosevelt Boulevard in 1961. 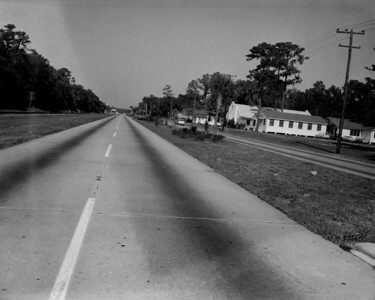 Looking south along Roosevelt Boulevard in 1961. 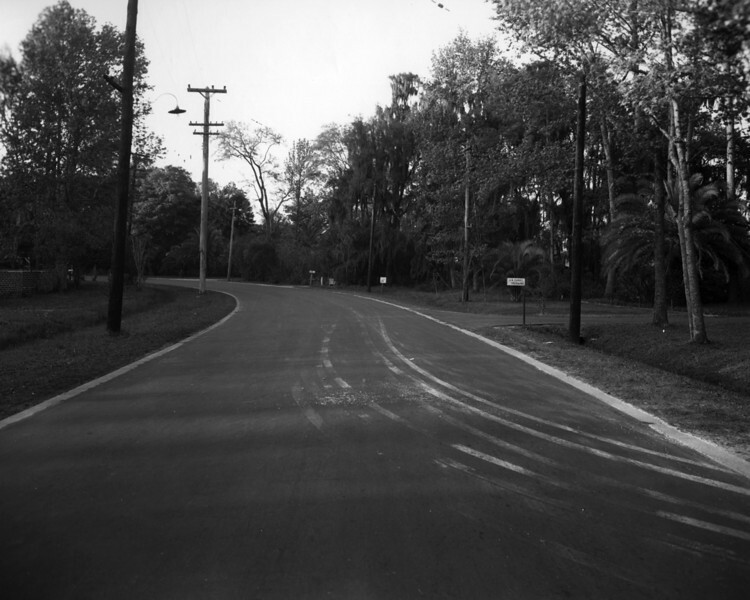 Ortega Boulevard on March 24, 1949.